Ta-dah: – this little top is from remnants! I cannot bring myself to throw anything remotely useful out, and this camisole was made out of the leftovers of my Emerald Shift Dress – don’t you love these unplanned and impulsive little wardrobe bonuses?! I underlined all the fabric except at the bust darts, which were french seamed as described here. With slippery fabrics I often prefer to keep the darts independent of the underlining, as the slightest inaccuracy can cause unsightly drag lines, and I sure don’t want them enhancing my bust! 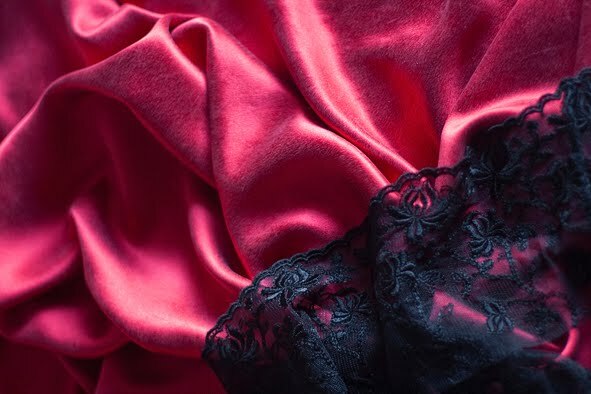 The camisole has a full lining – I didn’t have enough fabric leftover for facings, so I just fused along the upper edges of the lining instead. I decided halfway through that this top needed a little bit extra, so after rummaging through my stash I found some black passementerie trim, and attached it along the empire line seam and the straps. 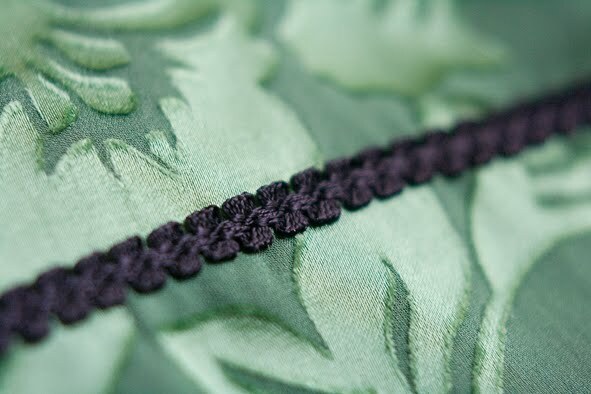 An extra note on facing invisible zips – to ensure your upper edges are perfectly level when finished, stitch across the upper edges by exactly the same amount above the zip stopper on each side. Here I have sewn 3mm above the zip stopper on each side, and you can see how only a 1mm variation would make one side sit higher than the other. 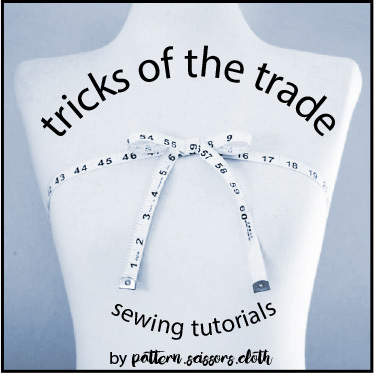 In this circumstance, it doesn’t really matter if your seam allowance varies by 1-2mm, but it does matter if your distance above the zip stopper does! Great tip on zippers, that's the best way of explaining how to get a perfectly matching top edge! 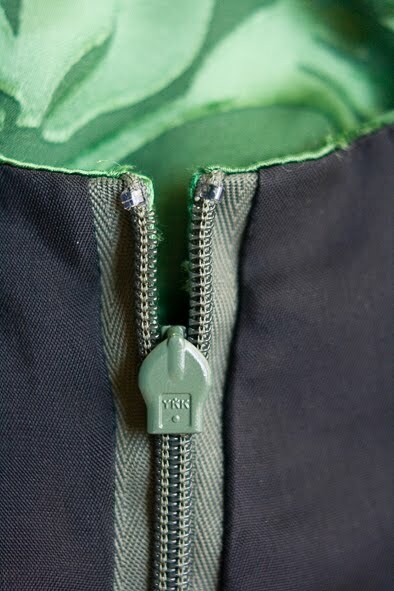 Invisible or regular zip, it's all about sewing an equal distance above the zipper stop.